When we talk about SAP S/4HANA Cloud Integration with other SAP or non SAP products, APIs play a major role in exchanging data between two systems. APIs provide the capability to process input and output for a business object. The attempt of this blog series is to explain the configuration, settings and methodology to be followed in consuming/ testing the APIs. A simple test can be performed using the testing capability within SAP API Business Hub. In this episode of blog series, I would like to explain the step by step procedure to be followed to setup the Communication Management in SAP S/4HANA Cloud which will activate a SAP S/4HANA Cloud API ( ‘Process Purchase Order’ as an example) for use. Note: Here we would use basic authentication. Alternatively there is a way to authenticate via certificate if API has to be consumed by a different target system eg: SAP Cloud Platform Integration. The Communication User is now successfully created. 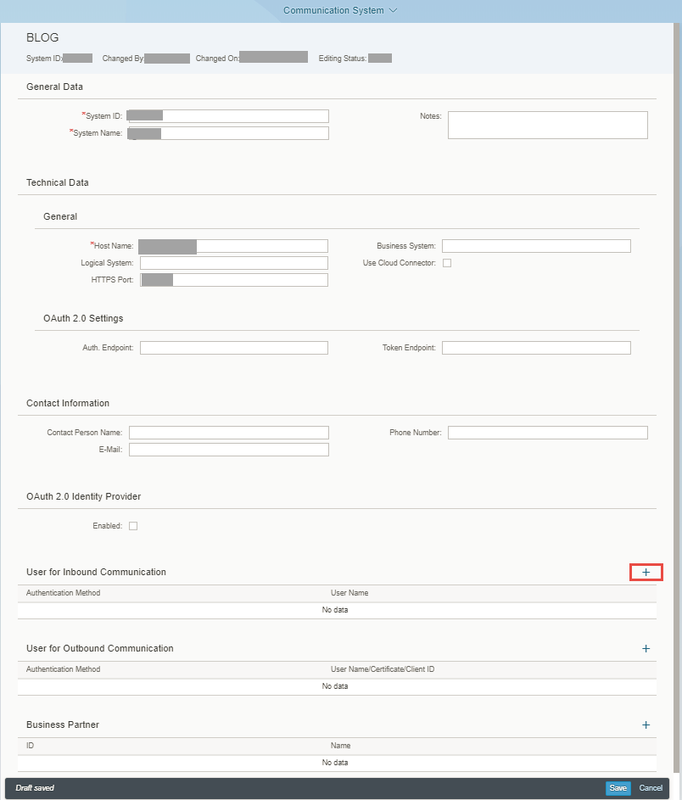 2.1 Login to SAP S/4HANA Cloud System, select ‘Communication Management’ group and Click ‘Communication Systems’ app (Refer snapshot from 1.1). 2.4 Give Host Name and HTTPS Port of the system you want to connect to. We will use a hypothetical name and port here since we are aiming to test the APIs directly from SAP API Business Hub. Note: Here we are using inbound service hence the ‘Logical System’ is optional but when we make use of outbound service then ‘Logical System’ plays an important role and is mandatory to be filled. Now we have successfully created a Communication System with a Communication User assigned to it. 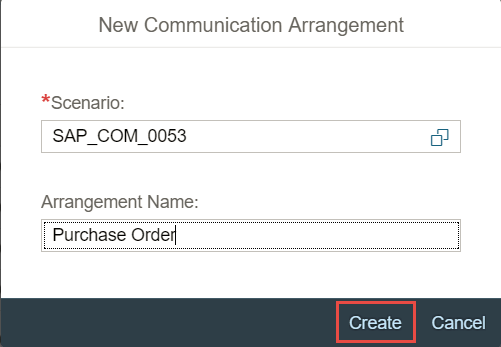 3.1 Login to SAP S/4HANA Cloud System, select ‘Communication Management’ group and Click ‘Communication Arrangement’ app(Refer Snapshot from 1.1). Note: You would be able find relevant Communication Scenarios in the API documentation from SAP API Business Hub. The Communication Arrangement is now created successfully. With this we have enabled our ‘Process Purchase Order’ API from SAP S/4HANA Cloud to be ready for use with authentication from Communication User created by us. In my upcoming blog I would focus on showcasing how to use SAP API Business Hub to enable triggering the APIs of SAP S/4HANA Cloud system.